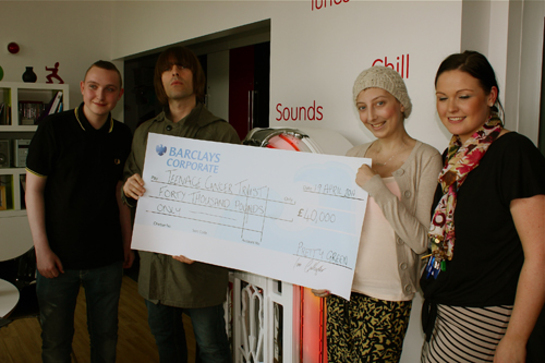 Beady Eye’s Liam Gallagher visited a Teenage Cancer Trust unit at Great North Children’s Hospital in Newcastle, UK, this week to present a donation of £40,000. 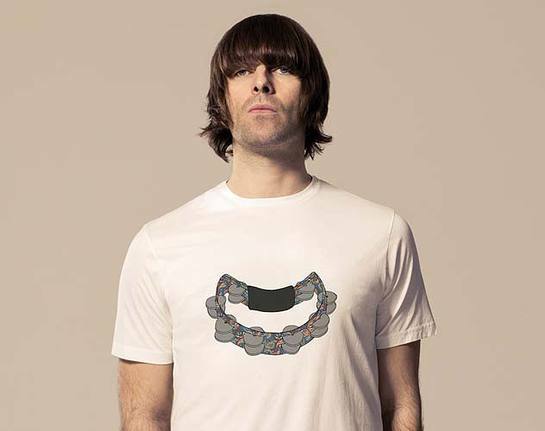 The money was raised through the sales of t-shirts designed by the former Oasis rocker. 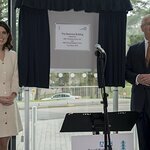 Sarah Ferguson, Duchess of York and Princesses Beatrice and Eugenie officially opened Teenage Cancer Trust’s new state-of-the-art unit in Newcastle in May 2010. They were joined by The Who frontman Roger Daltrey CBE and local star Joe McElderry. The unit is the result of a £1.7 million fundraising appeal and will provide care for 13 to 18 year olds with cancer from across the North East and Cumbria. The new unit in Newcastle includes 10 in-patient beds and will provide a home from home for many young people and their families. Unlike ‘ordinary’ hospital wards, it has been designed specifically with teenagers in mind. It includes a recreational room, kitchen and dining area, a study, parents’ room and kitchen, a complementary therapy room and chill out zone plus access to media facilities such as the internet, TV and music.